Home Reviews Natures Logic Dog Food Reviews: What Makes This Dog Food Stand Out? Our dogs deserve just as much as care when it comes to food selection as we do. Therefore it is only right and just that we as pet owners get them the very best to eat. However, with so many dog food brands out there, it has become really hard to say which of these dog foods, kibble, raw diets, and whatnot are really the best options for our dogs to eat. This is why we have decided to bring to you the information you will need to decipher and break down dog food brands and help you decide which is best suited for your canine. Today, we will be sharing our Natures Logic Dog Food reviews, and we will be finding out why this dog food brand claims to be the best option for your pooch’s diet. Just what makes Natures Logic Dog Food stand out among other competing dog food brands? What Is Natures Logic Anyways? 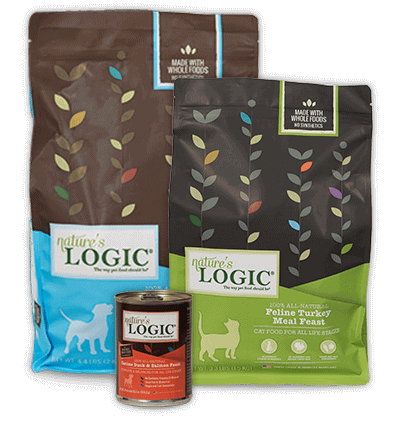 Natures Logic is an up-and-coming pet food company that was founded back in 2005-2006 and has recently arrived into the spotlight as it has been making headway into being one of the most optimal pet food brands available. They have made it their mission to provide the highest of quality and safest nutrition for all of our furry friends. But just what does this promise entail? What Can You Expect to Get from Natures Logic Dog Food? Natures Logic Dog Food is completely free of any genetically modified organism and is completely natural down to the very core. Unlike other dog foods in the market, they have made it their goal to provide your dogs with everything that is natural and safe for their digestion; they wish to deliver quality and not at the cost of anything. They also don’t use any chemical preservatives in their dog food and assure that everything your dog will be eating will have nothing artificial, unlike other dog foods that feature chemically-synthesized vitamins and minerals in order to meet a much more sufficient nutrient count. They opted to go all-natural in order to give owners the assurance of safety and your pet free of being at any risk of these dangerous chemicals. All of their ingredients as well have not been exposed to any herbicides or pesticides to ensure that the dog food comes out clean and free of any man-made interventions, even at the very start of the whole process. While many other dog food brands make use of common allergens to add more nutrients but come at a potential risk. Natures Logic negates this possibility and has set aside the use of any wheat, rice, soy, peas, tapioca, or potato to keep allergies at bay. This means that Natures Logic is a very good option for those dogs that are very sensitive and keen on what they need to it in order to sustain their fragile being. Unlike what we see most commonly in dog food brands today that use whole meats, Natures Logic uses meal meats as their main ingredient for their food. While on a nutritional standpoint they are very much alike, although whole meat is slightly better, meat meals are of a higher concentration of protein – an important nutrient to maintain your dog’s growth and development. Most dog food brands nowadays add a little bit of artificial flavoring to make their dog food all the more appealing and welcoming to dogs, however with that said these are still unnatural. Which is one thing that you will find different about Natures Logic is the absence of any artificial flavoring, avoiding any hidden sources of MSG and soy, which could potentially be an allergen to your pooch. Another added benefit you can expect to get from using Natures Logic is the absence of a strong odor that usually accompanies the opening of a new bag of dog food. This is because of their loyalty to bring 100% natural dog food to your furry friends that the smell is very mild and natural but still very appealing to the dog. Not only is Natures Logic Dog Food available in dry food but it is also available in many other diets also for your choice. You can also opt for both canned diets and raw frozen diets in order to tailor your dog’s food and eating habits according to what is most healthy for them. There are also countless flavors to choose from, including beef, chicken, duck, salmon, lamb, pork, rabbit, sardine, turkey, and even venison! What’s the Catch to Choosing Natures Logic? We aim to provide clear-cut information in our Natures Logic Dog Food reviews, and that entails giving you both why and why NOT it is the dog food product for you. Just like other very generous and benefit-filled things in this world, they will always come at a trade-off and in this case, Natures Logic’s trade-off is its price. For example, if you were to order their Natures Logic Dog Food Canine Meal Feast Beef, it would cost you over $76.47 to get it, which is quite pricey compared to all other dog food brands. However, with that said, the price does come back with its benefits, with many users stating that it has fixed many of their dogs’ and cats’ problems, the likes of which they thought were impossible. The choice still stands though as which is most sustainable and comfortable in your situation. If you are able to get Natures Logic Dog Food without severely hurting your budget, then, by all means, we recommend that you get this for your dog. If not, however, then there are still many great options that can offer the same level of quality at a much lower price. 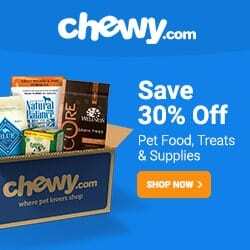 Next articleWhole Paws Dog Food Reviews: Is It Really Worth Getting?